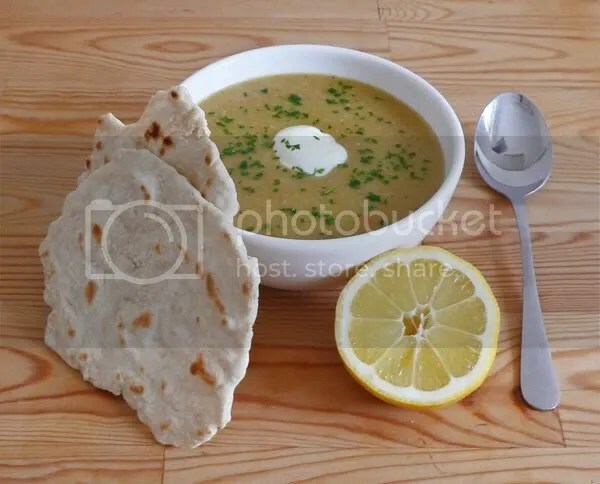 Linsen Suppe (a) Lentil Soup has been one of the most consumed item in the Turkish Restaurant, for me personally, in the last weeks or months. As the name suggests, it is just made out of Lentil cooked & mashed into a soup. Something that we all can make at home. The variety of Lentil that Turkish restaurants use is different from our Thoor Dhal that we would use at home. And yes, that does impart a different taste too. Usually this soup is served with breads and good enough to be a full meal. In German cuisine also they make Linsen Suppe but mostly it is also with meat. So it is better to clarify in the restaurant if the soup is only with Lentils & is vegetarian. 🙂 do they add any extra spice / cream etc? yumm for a cold evening though. Healthy, healthy!!! Dropping in from the A-Z Challenge. GOod luck with the rest of the challenge.